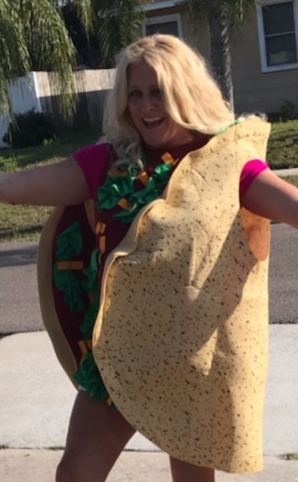 Join us on the 5th of May 2019 for the Cinco De Mayo Nacho Average Taco 5K in Clearwater, Florida. The event will take place on the entirely paved, Ream Wilson Trail in Clearwater beginning and ending at Buffalo Wild Wings Clearwater conventiently located near Tampa and St. Petersburg for easy travel. All participants will receive the awesome large tequila shot finisher's medal and the event is open to all ages as it is family friendly. This is event will be electronically timed but it is non competitive in nature so glass framed awards will only be presented to the firsst 10 male and first 10 female finishers. EVERYONE will receive your finisher's medal, the event shirt, a free food sampler and a free beer for everyone over the age of 21. The run will begin in front of Buffalo Wild Wings at the large inflatable arch at 9 a.m. Please park as close to Buffalo Wild Wings as possible. We ask that aby strollers start toward the back of the group so that passing on the trail is not a safety hazard to you or your child. This event is a fundraiser for the 501c3 Finish Lines For Scholarships. Be sure to give a wave to our incredible group of teens as they cheer you on along the 5K route! 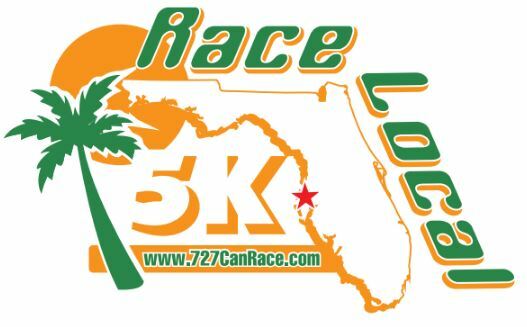 Check in opens race day only in front of Buffalo Wild Wings Clearwater at 8 a.m. 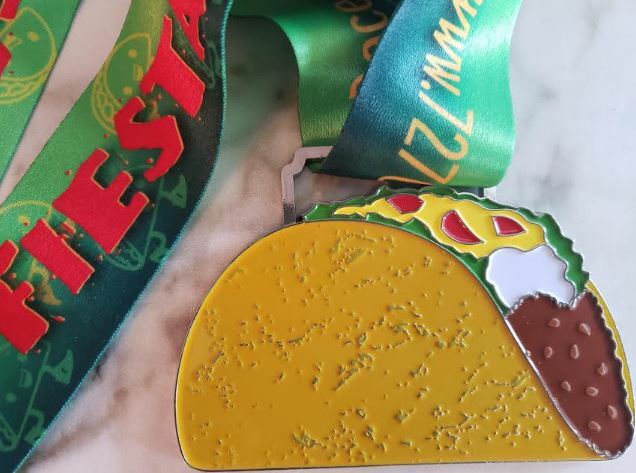 The walk/run begins at 9:00 a.m.
Have a great Cinco Day Mayo and let your taco medal be the envy at any festival you attend on May 5th!